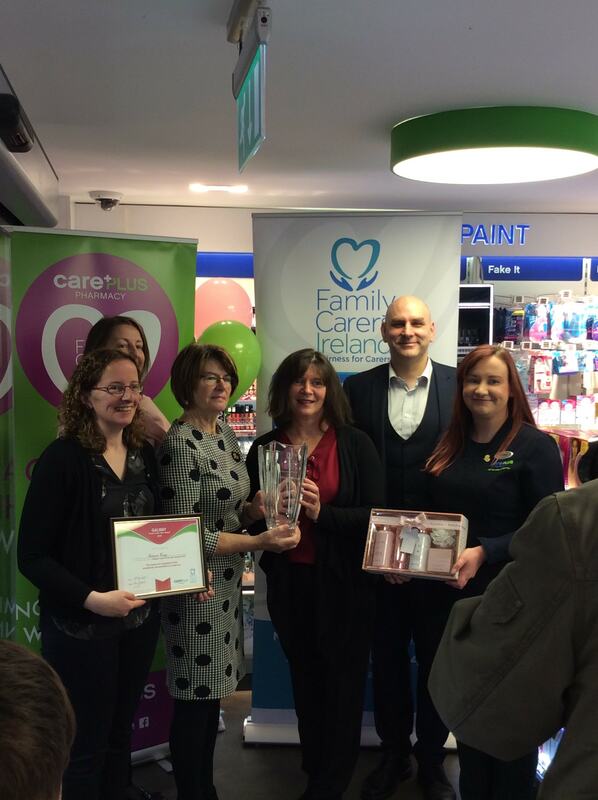 On Friday November 9th, Killian’s CarePlus Pharmacy in Loughrea had their in-store presentation of the Family Carer Award for Galway. The pharmacy was contacted by Family Carers Ireland, Loughrea to seek their support in presenting the Family Carer Award winner for Galway with their certificate and gift. 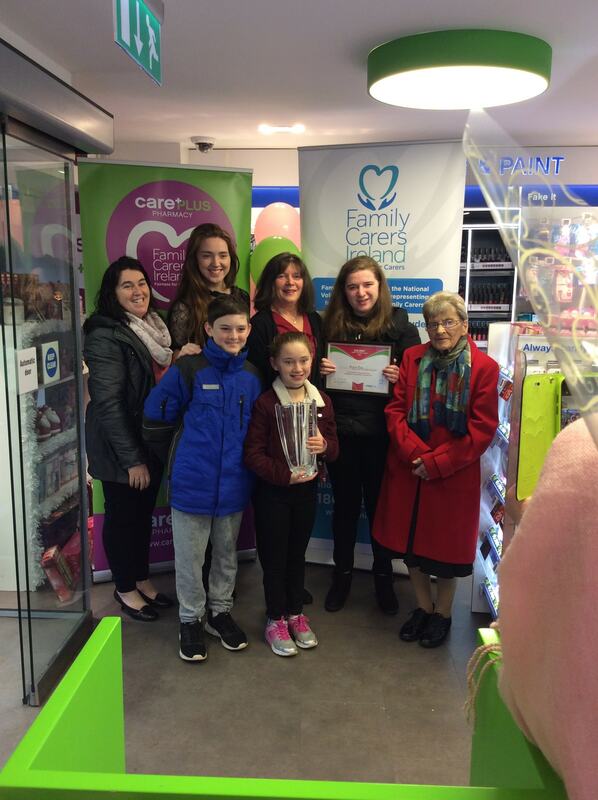 The presentation of the award was held in-store with both the staff of Killian’s CarePlus Pharmacy and staff of the Loughrea Family Carers office in attendance, along with the award winner and her family, who were happy and proud to be there and stand in for photos. The winner of the award for Galway, Adrienne Furey, was nominated in the pharmacy by her daughter for the amazing work she does and care that she provides. Killian’s CarePlus Pharmacy was delighted to have been part of this journey with the family and staff were glad to be involved in such a lovely day by the Family Carers Ireland staff in Loughrea. Special mention to Killian’s CarePlus Pharmacy staff members Freda and Margaret for their efforts on the day – they made plenty of sandwiches and cakes for all in attendance, really making the wonderful event even better. Pharamcist Eoghan Hanley + Staff presenting Adrienne with her award. As a pharmacy, Killian’s were delighted to see such an important and special award go to someone local and someone who was nominated in the pharmacy itself. Congratulations to Adrienne Furey and her family, a deserving winner. Check out Family Carer's Ireland for more ways you can help to support carers in your community.